A 200 year old farmhouse located at the foot of the Blue Ridge Mountains in the quiet town of Bluemont, Virginia. The property commands a wonderful view of the mountains with a picturesque spring-fed pond behind the house, offering the perfect setting for ceremonies and wedding receptions. This captivating setting offers a unique, country venue for your event. 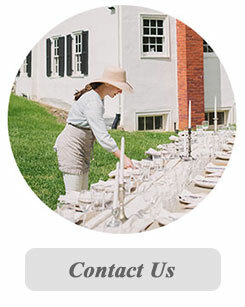 The property and outbuildings are available for ceremonies and/or receptions up to fifty people. The house offers an area for bridal party preparations as well as for the bride and groom to stay overnight before or after the event. The vintage farmhouse is also available for other special events including an elegant dinner party, birthday celebration, a high tea, a business meeting, workshop, or weekend retreat. 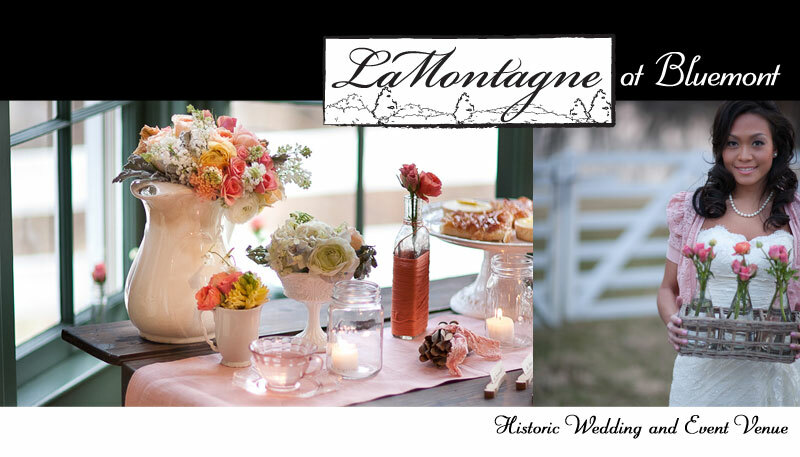 LaMontagne is available for other special events including elegant dinner parties, birthday celebrations, high teas, business meetings, workshops, or weekend retreats. The venue can also be used for bridal and engagement portraits for a small sitting fee. The venue is about one hour from Washington, D.C. and minutes from Leesburg, Virginia and Middleburg, Virginia. Dulles Airport is thirty minutes away.